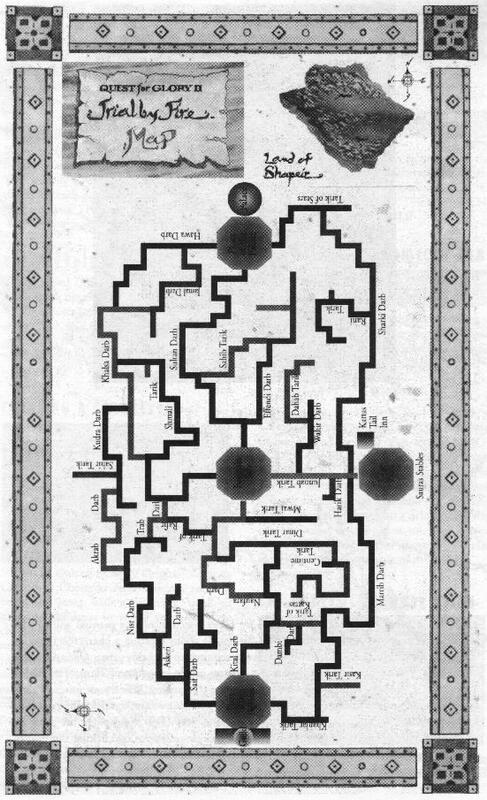 Hint Book - 9.65 MB - The Quest For Glory 2 Hint Book (PDF). Map - 1 MB - Here is a map of the city in Quest for Glory 2. It is almost a nessessity to have this map, just because the area is so vast and it is easy to get lost. Unravel the mysteries of exotic Shapeir and its sinister city Raseir. Sojourn across the burning sands of a great desert. The setting, storyline, and cast of characters conjure the tales of the Arabian Nights and the challenge is a classic conflict between good and evil!